(NaturalNews) Yes, GMO proponents are liars, we all know that. They say GMO can feed the world, and will save the world from famine, and that some crops are "drought resistant" and that we should all embrace technology, but that's not the case here at all. If you desire to learn anything at all about sustainability, nutritious food, and plans to "save the world's food supply" using technology and innovation, then finish reading this article about the geniuses who build indoor, organic, hydroponic, dense vertical gardens, and can grow 400 acres worth of highly nutritious food in a 40,000 square foot facility. "Vertical Acres" is the name of a year-round growing system - a high density, hydroponic urban farming business in Virginia Beach, Virginia. They market and sell their organic produce to local farmers and mom-and-pop health shops and farmers markets, all over the area. They can deliver this produce in one day, thus adding to shelf life and economy. 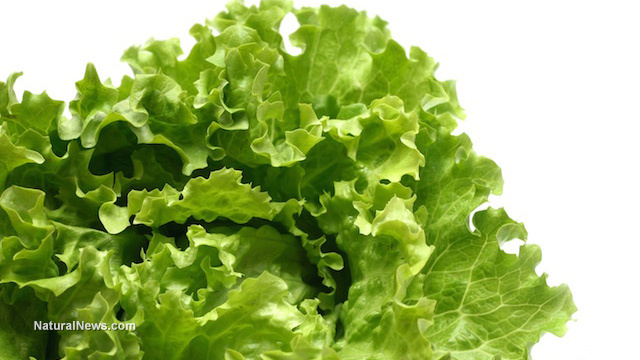 In a study published by the USDA, hydroponic lettuce was found to contain 44 percent more protein, 75 percent more calcium, 300 percent more vitamin A and 400 percent more iron than conventionally grown iceberg lettuce. All of Vertical Acres' produce when picked is packaged and refrigerated within 30 minutes for the ultimate pure, clean product. The perfect growing day - every day! An ultra dense, hydroponic growing system means produce is now grown completely indoors in a totally controlled environment, thanks to a recent invention. Every aspect is stringently monitored and controlled: nutrient concentration, pH of the water, humidity, CO2 levels in the air, temperature, and the number of "daylight hours." This all gives the plants the PERFECT growing day, every day. Also, since these greens are grown indoors, there are NO environmental pollutants. On top of everything else healthy about Hydrogreens, there are no "chemtrails" (plane and jet bio-pollution) to deal with, no mosquito-man driving by spraying DDT; there are no petrochemical fertilizers, and no pesticide, insecticide, fungicide or herbicide runoffs from other adjacent or nearby farms, and no pollution from industries or hospitals. Plus, there's no toxic heavy metal contamination, for which "USDA certified organic" doesn't even test. There are no insects and no weeds. There are no superweeds and superbugs either. There are no droughts, freezes, or floods to worry about, and no GMO cross-pollination concerns. This is the future of food - organic, pure, natural and nutrient-loaded food! How exciting. This could save the world in a crisis, if there were just more of them. Take a look at Hydrogreens here to understand the difference of farming that reduces the carbon footprint and is completely sustainable: (http://www.headsuphydrogreens.com/). With virtually no product waste, the founders are re-circulating their water and reducing their carbon footprint. "Heads Up Hydrogreens" is Virginia's first and only soil-less, controlled environment agriculture (S/CEA) of its kind. Harvested at the peak of freshness, Vertical Acres grows the best lettuce and culinary herbs you've ever tasted. Hydrogreen's owners are utilizing electrical conductivity for optimum nutrient levels. The vertical growing system utilizes LEDs, proper pH and E.C. - electrical conductivity of nutrient level in water. In other words, they inject nutrients automatically. This method will allow new entrepreneurial farmers to enter into marketplaces never before thought of, maximizing the growing capacity of any area. The best part is that the owners of "Hydrogreens" use only Certified Organic seeds from Johnny's Selected Seeds, an employee-owned company. Currently in the first phase of development, they can already supply 1,500 bags of lettuce every week. So forget about GMO and Biotech's bogus claims to create more yield and be drought resistant, this is the future of farming. Every aspect is monitored by computer systems checking nutrient levels, water temp, humidity, etc. Even the air coming into the facility is triple filtered, eliminating pests, dust, fungi and bacteria. This is produce in its purest form.